Scotland [Шотландія] – the second largest of the constituent countries of the United Kingdom of Great Britain and Northern Ireland, occupying the northern third of the island of Great Britain and numerous offshore islands. The Scottish Parliament, established in 1998, passes legislation in all matters relating to Scotland apart from reserved matters in which the power to legislate is retained by the United Kingdom Parliament. 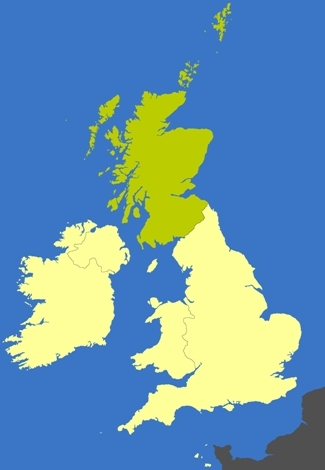 Scotland has its own legal system – Scots law.